Plain. Simple. Utterly gorgeous. 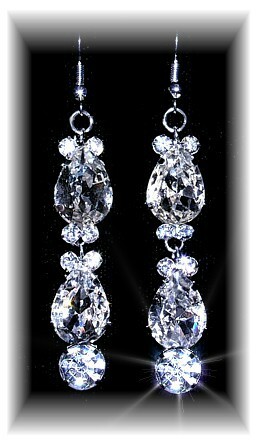 Features two sparkling teardrops, topped and tailed with rhinestone circles and finished with a big circle. All on a comfortable fish-hook . Size 6.5cm (2½") . Plated in Sterling Silver.